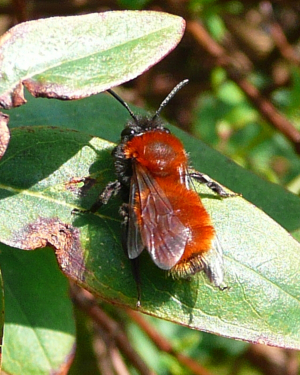 Observation - Tawny mining bee - UK and Ireland. Description: Very bright, dark orange bumblebee about 20mm long. Very bright, dark orange bumblebee about 20mm long.